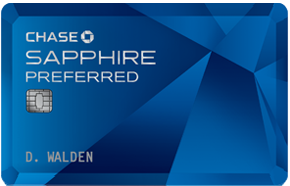 Last Day for the Current Chase Sapphire Preferred Credit Card Offer? Rumors continue to circulate around the travel/rewards credit card bloggosphere that today is the last day to get the Chase Sapphire Preferred Credit Card at its current sign up offer. Apparently, Chase representatives have confirmed that starting tomorrow, the spending requirement to receive the sign up bonus will increase (potentially $5,000 instead of $3,000). There’s also the possibility that the annual fee might increase as well. In any case, if you were thinking of signing up for the card in the near future, now would be a perfect time to just go for it. I’ve had the card for over 3 years and I use it for every day spending – it’s a really great first-time card for anyone looking to start accruing valuable Ultimate Rewards points that can be redeemed for thousands of dollars (read more below). I decided to close my Chase Sapphire Preferred Card last week as the annual fee came up and I already have a Chase Ink Card that earns me UR points and has great 5x bonus categories for every dollar spent at office supply stores. I’m also planning on applying for another Chase Sapphire Preferred Card today to avoid the increased sign up offer that everyone’s talking about, AND to take advantage of the sign up bonus again! In the terms and conditions of the card, it states that if you haven’t received the sign up bonus in 24 months, you’re eligible to receive the bonus again! No foreign transaction fees. When you use this card abroad or to make purchases in a different currency, there are no additional fees. Why is this card so valuable? Chase Ultimate Reward Points are transferrable to multiple airlines and hotel chains giving you the freedom and flexibility to transfer your points instantaneously to make a booking of your choice. Travel programs include British Airways Executive Club, Korean Air SKYPASS, Southwest Airlines Rapid Rewards®, United MileagePlus®, Singapore Airlines Krisflyer, Virgin Atlantic Flying Club, Amtrak Guest Rewards®, Hyatt Gold Passport®, Marriott Rewards®, IHG® Rewards Club and The Ritz-Carlton Rewards®. United is a valuable program to transfer to as they have amazing award availability and don’t have fuel surcharges on flights overseas. British Airways is another amazing award partner. Their award points chart goes according to the distance you travel. See Chase British Airways card below. As an added bonus, this card comes in an all blue metal with a chip enabled for overseas use, which makes it a really cool card to carry around. Also, if you like to make online purchases at your favorite stores, you can earn up double, triple or up to 15x or even 30x points when using Ultimate Rewards to shop through online retailers such as Kohls, Macy’s, Amazon, Sephora, and Groupon.